Three-quarters of Americans are worried about having enough money for retirement, according to a new survey that found three out of 10 Americans are not saving for later years. However, 69 percent of the 2,286 adults surveyed by the Harris Poll say planning for retirement is a key priority to them. Only 35 percent say they have faith in Social Security being there when they retire. That figure drops to 27 percent of Millennials and 30 percent of Gen Xers. These are some of the results of The Harris Poll® of 2,286 adults surveyed online between May 14 and 19, 2014. While 39 percent of Millennials indicated they are saving for retirement, 62 percent of Gen Xers and Baby Boomers say they are. Millennials are also more likely than the three older generations to be saving money for a car purchase (24 percent vs. 11 percent, 10 percent and 15 percent) and a home purchase (24 percent vs. 7 percent, 4 percent and 3 percent). About 69 percent of Americans say they are currently putting money toward any savings. 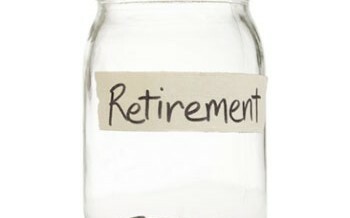 One reason for those who aren’t may be that 46 percent of unretired U.S. adults say they live paycheck to paycheck and can’t afford to put money in savings. Among those saving, the top goals are rainy-day funds for unexpected costs (65 percent) and retirement (52 percent). Those who are saving are also doing so for other reasons, with 31 percent saving for a vacation. Health care is another worry for Americans, with 67 percent saying they worry about being able to afford unexpected health care costs. Among those who are not yet retired, 70 percent of the respondents said they worry about being able to pay for their health care costs when they retire. Asked about what they would do if a sudden windfall of $100,000 came their way, 57 percent said they would use the money to pay off an existing debt and/or loans, while 42 percent would put the money into a rainy day fund and save for unexpected expenses. One-third (33 percent) of Americans would invest toward their retirement while over one in five would go on vacation (23 percent) or buy a car (21 percent). Smaller numbers of U.S. adults said they would treat themselves to something they would not normally spend money on (16 percent), donate to charity (16 percent), buy a house (15 percent), pay for their kids’ college (10 percent) and go back to school (6 percent).